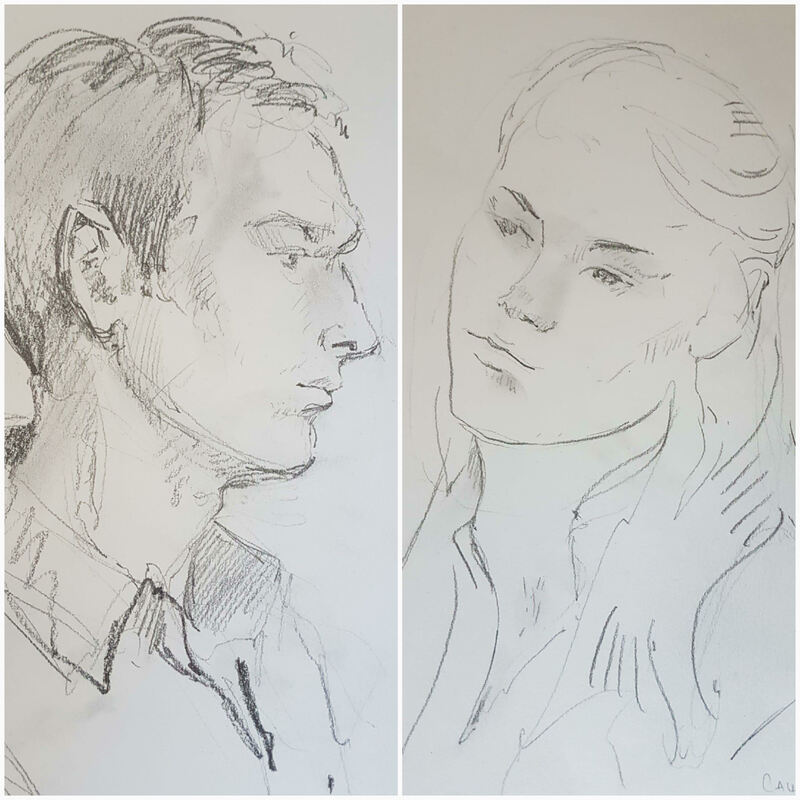 Every person’s head is truly unique in its character and features, and in May session we will explore the means in which we can capture the sitter’s exact likeness. We will also study mass drawing (and thinking) as a means of reflecting shape and define the light positioning. Black ink, if you have some already. If not, there’s no need to buy, I will share some of mine. Wear old comfortable clothes or an apron to protect from stains. Portrait making is an ongoing process. For the returning participants, I can add extra time in the end if you would like to have my feedback or advice on your own works/ sketches that you have made meanwhile away from class. Enjoy the spring, and hope to see you! Price is 15 euro per session. Pay cash or show a payslip, but please remember to register/cancel at least 1 day beforehand.